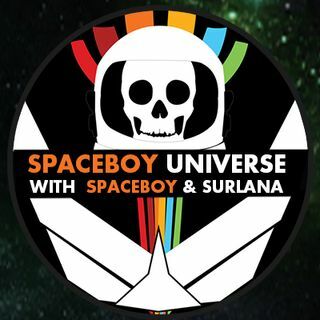 Join Spaceboy and Surlana as they spin the wheel to talk up what is out there in the Universe. Plus, they will open the phone lines. It will take time but you'll get there dear!!! SB I hope you get to feeling better soon. Take care of yourself & do what the Dr. tells you to do!! SB is GOOFY w\out drugs!!!! LMBO!!!! Me neither Yeg!!!! Haven't laughed so much in a long time!!! We are older than you honey!!! OMG!!!! They better be lined with gold for that price!!!! So every time we chew gum we're chewing rubber!!!! LOL!! !